In 2009, a group of families, professionals and civic leaders came together and founded Sweetwater Spectrum. We have been collaborating toward meeting an extraordinary need: appropriate, high-quality housing choices in the community for adults with autism. Our pilot community has been developed in Sonoma, California. It is intended to embody best practices for housing adults with autism, with the expectation that it will be replicated elsewhere. We have built for adults with autism an environment typically not available to them—a place where they have a sense of community and belonging. Sweetwater Spectrum attempts to maximize residents’ individual development and independence so they can live with both purpose and dignity with access to a variety of opportunities.This residential community is a completely new model. We have researched sites and programs across the country and selected the best elements of existing residential options in a design of a community which is compassionate and pragmatic in the choices it offers adults with autism. What we have created on a small scale is the first critical step in realizing a concept that can be reproduced in communities around California and the U.S.
To learn more, visit Sweetwater Spectrum. 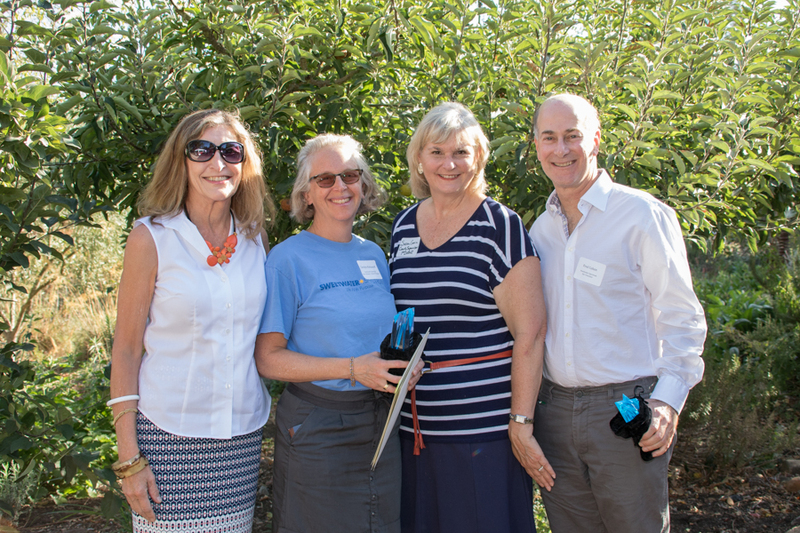 Jan Erickson, Sweetwater Specturm Board Member (far left) and Supervisor Susan Gorin present the Star Award to Carolyn Klebanoff and Fred Cohen. As founders, Carolyn Klebanoff and Fred Cohen have provided guiding wisdom instrumental in the development of Sweetwater Spectrum. Carolyn’s tireless leadership, commitment and donation of time and energy as board president and working member of most Sweetwater board committees has shaped the quality of the Sweetwater commitment to excellence. Carolyn’s good will and spirited contribution is accompanied by a one-of-a-kind laugh that is as contagious and generous as she is. Fred’s consistent intelligence, sound judgment and practical thinking as an advisory board member has proven valuable numerous times in the last six years. An innovative, critical thinker like Fred is crucial to the creation of the innovative model that is Sweetwater Spectrum. This organization is fortunate to have the brilliance of these two stars shine on the work it does.